Dog Boarding at it's best from LifeTime Pet located in Olathe, Kansas. Contact our Pet Boarding experts today at (913) 764-4626. There are many reasons why people choose LifeTime Pet for their Dog & Pet Boarding needs in Kansas. Are you going on vacation for the weekend? Taking a much-needed break from the daily grind ? If so, your pet needs a fun, loving environment while you are away. Whatever your reason, it is our job to make sure that your pet is well taken care of and that they are happy while you are away! Social, safe & sanitary environment. Proudly Providing Dog & Pet Boarding at it's best! 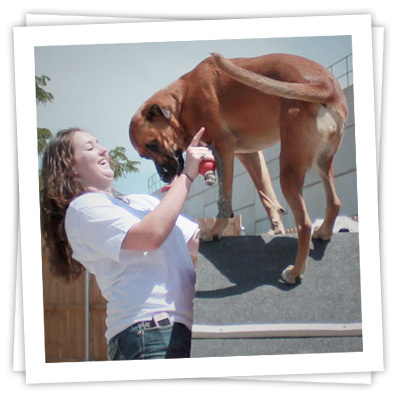 LifeTime Pet loves dogs and is careful to provide an environment that not only fun, but safe. We have staff on-hand should an incident arise, and you will be notified should anything happen to your beloved pet. Your pet will be safe, and won't experience the feeling of abandonment that animals face when their owners leave them for an extended amount of time. Send your dog on vacation with dog boarding while you go on yours! If your Four Legged Friend has stayed at LifeTime Pet in Olathe KS before, please fill out the information below to schedule your Reservation. We will review your request during normal business hours and compare it to our existing dog boarding availability. You will then be contacted by telephone and informed of the status of your request. If this is your first time to leave your Four Legged Friend at LifeTime Pet in Olathe KS whether it is for a day of fun, or for overnight dog boarding, we want to get to know your dog first. Please click here to schedule an interview. Helping Your Pets Live Their Best Lives!